The Regional Forum on Sustainable Development for the UNECE Region provided a platform to discuss concrete solutions on how to achieve the 2030 Agenda and its Sustainable Development Goals (SDGs). Participants agreed that achieving gender equality and women’s empowerment is integral to the achievement of the SDGs. At the Forum, UN Women and partners launched the Equal Pay International Coalition (EPIC) in the Europe and Central Asia region. 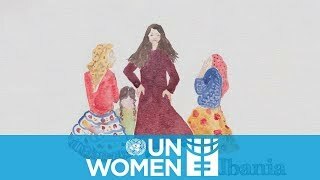 This report highlights the main challenges that ‘by and for’ women’s organizations across the Western Balkans and Turkey face in incorporating an intersectional approach, as well as in monitoring and reporting on Istanbul Convention implementation, monitoring and reporting to the CEDAW, and engaging with the EU accession process. In this video, Roma activist Manjola Veizi explains how she fights for Roma women’s rights and to prevent domestic violence and early, forced marriages.